WWE South American shows always tend to have a different vibe & energy, and last night was no different when superstars from both Monday Night Raw and SmackDown Live headlined an absolutely electric show in Santiago, Chile. 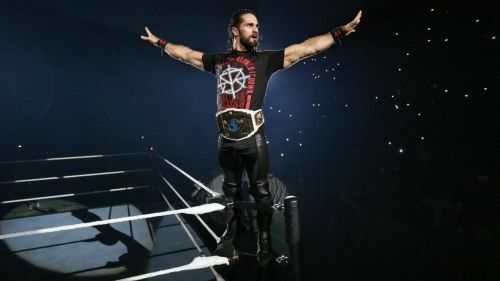 Featuring the likes of Seth Rollins, Drew McIntyre, Finn Balor, Andrade 'Cien' Almas, and The Riott Squad, the Santiago show definitely did live up to all of its expectations, and here is how all the action unfolded. 'The Scottish Psychopath' Drew McIntyre has been running roughshod through the entire Monday Night Raw roster, and this past week on Raw, the former Raw Tag Team Champion ignited a feud against his former tag team partner, Dolph Ziggler. Ziggler, who last week was victorious over McIntyre, thanks to a little assist from Finn Balor, found himself in the ring with both the Irishman and the Scotsman last night in Santiago, Chile. As expected, the triple threat between McIntyre, Balor, and Ziggler was fast paced and full of action. Eventually, it was McIntyre who came out on top, and scored a huge win. For the past several months, The Riott Squad has been on top of their game on Monday Night Raw, as their sneak attacks on the likes of Ronda Rousey, Natalya, Sasha Banks, and Bayley have done quite the damage so far. Last night in Santiago, Chile, the trio of Ruby Riott, Liv Morgan, and Sarah Logan found themselves in a six-woman tag match against Bayley, Natalya, and Ember Moon, however, the match did not have a decisive winner as it ended in a wild brawl between both sides, with Nattie eventually putting Riott through a table. This has now led to a tables match between Natalya and Ruby Riott for TLC.